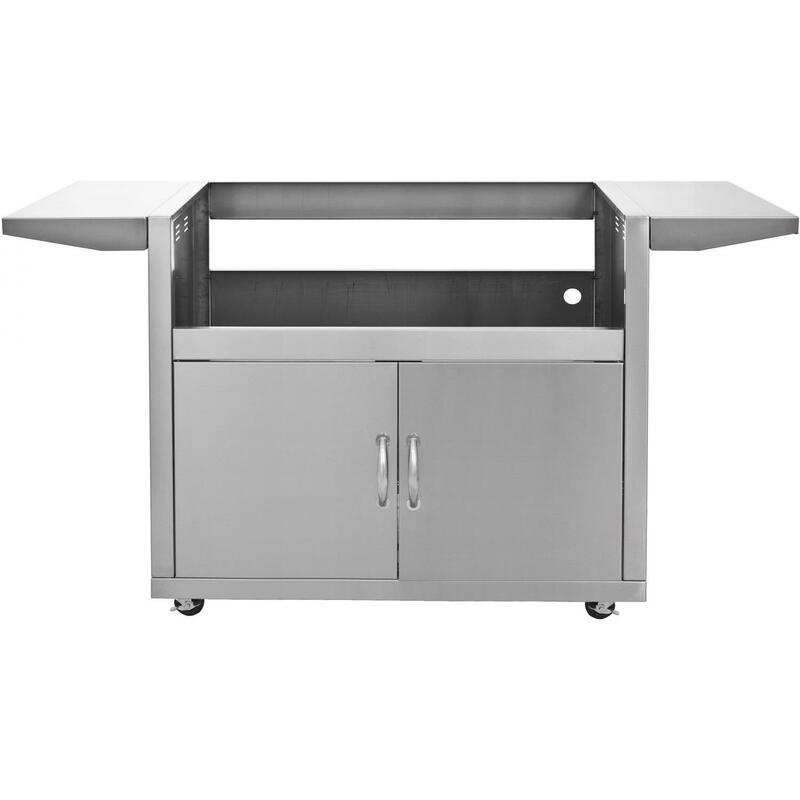 Product Description: Blaze Grill Cart For Professional 3-Burner Grill - BLZ-3PRO-CART. 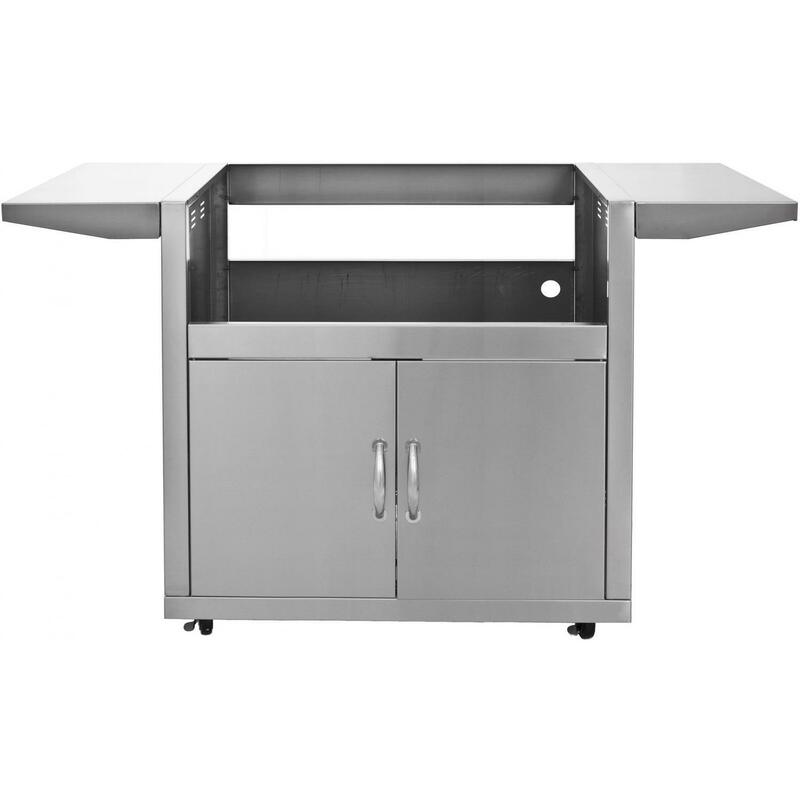 The finest in outdoor cooking just got better with high-performance, industry leading heavy-gauge materials and commercial quality craftsmanship in the Blaze Professional. 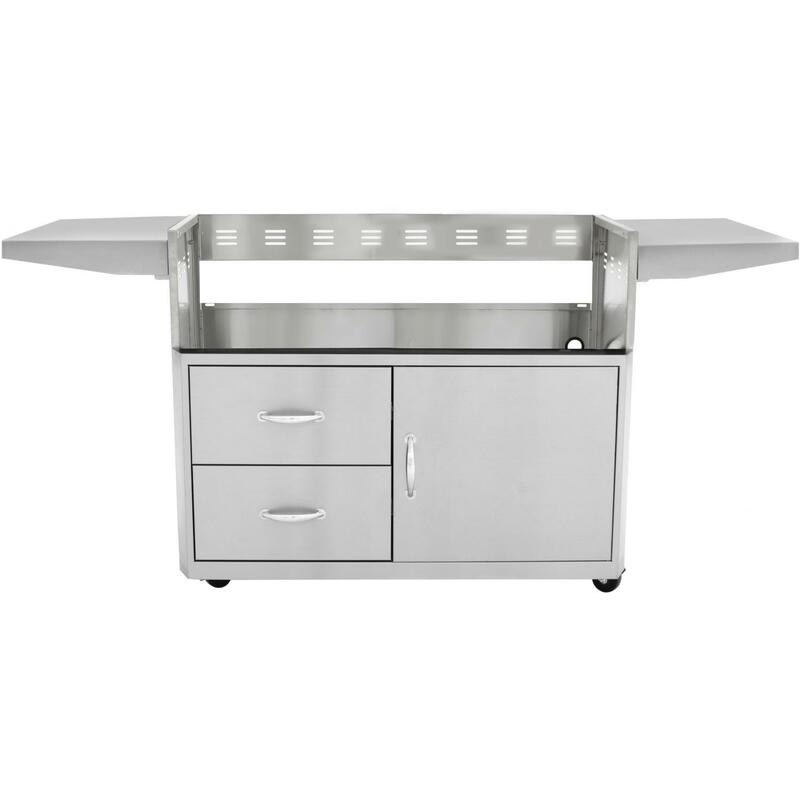 This all stainless steel grill cart is specifically designed to house the Blaze Professional 3-burner gas grill and matches the sleek contours of the grill. 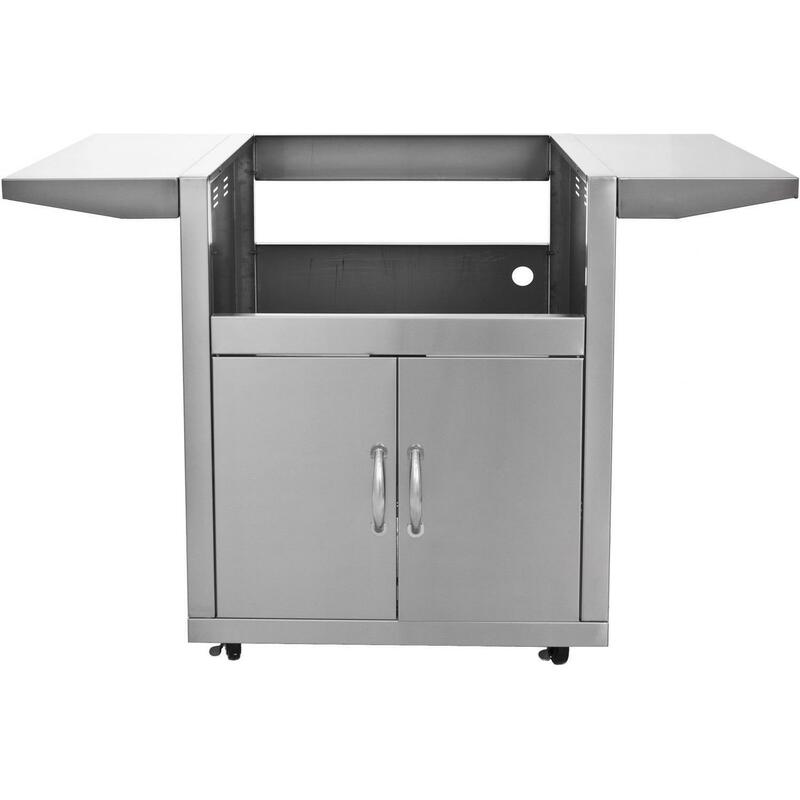 The stainless steel construction ensures long-lasting durability for years of outdoor use and the four heavy-duty, locking wheels allow you to easily relocate the grill whenever necessary. 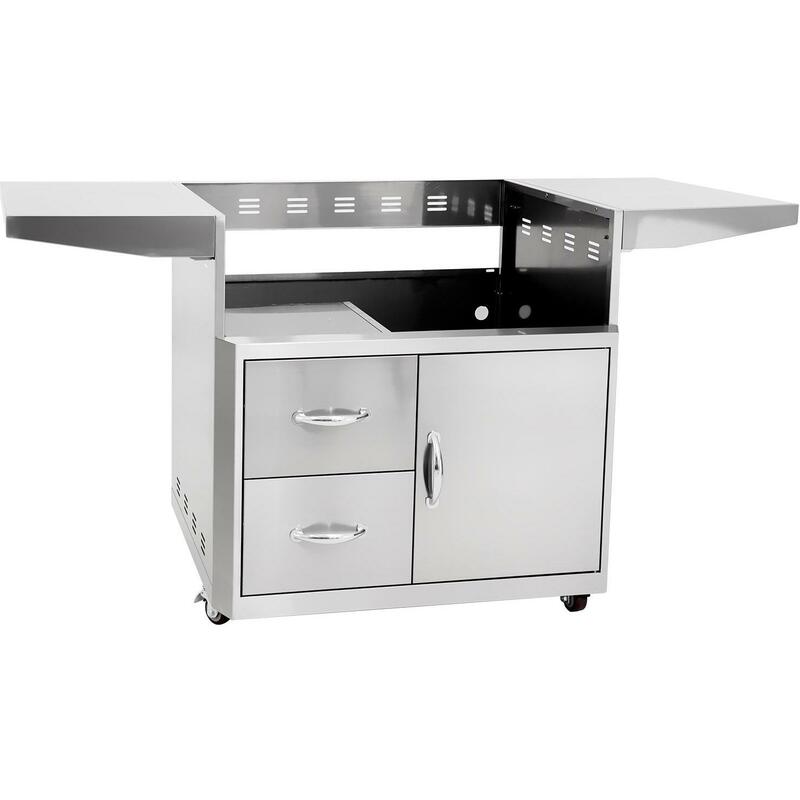 The two stainless steel side shelves keep your BBQ tools at hand, provide a convenient work area while you cook, and fold down to save space while not in use. 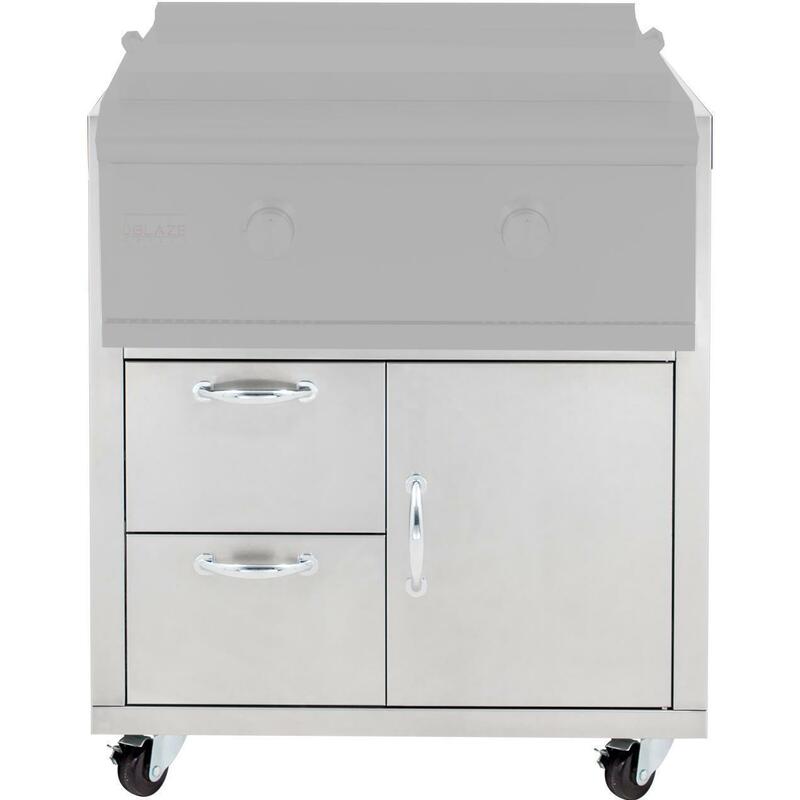 The Blaze Professional grill cart also features two drawers and one door, all with rounded handles, to store your propane tank and BBQ accessories.